Color Jeans are one of my favorite trends for this Spring. 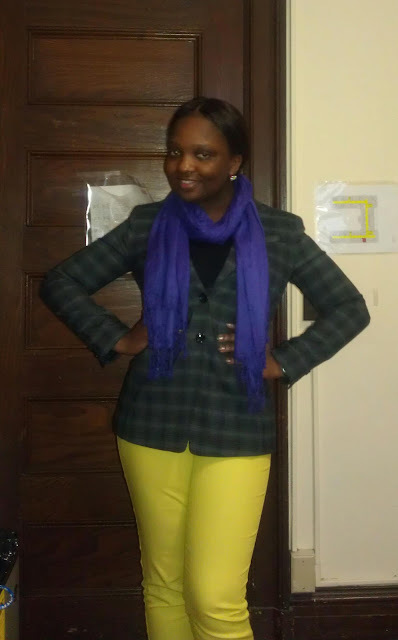 I added this bright yellow jeans and purple scarf to pop up my outfit. The jeans were $15.50 at forever 21 and I got many more colors for that price. 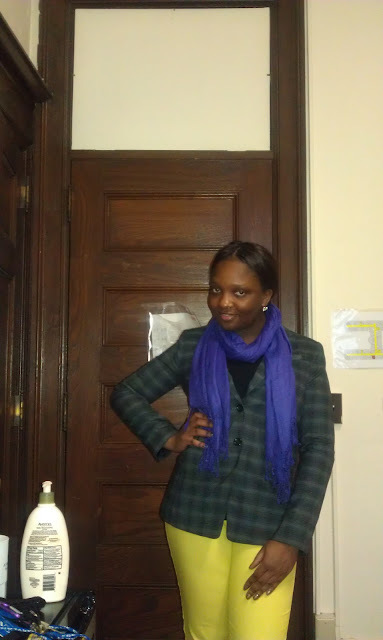 I also got the Plaid blazer from Forever 21, isn't it just so cute? Forever 21 is my all time favorite store. They always have trendy clothing and accessories for affordable prices. Enjoy the pictures and have a nice day!